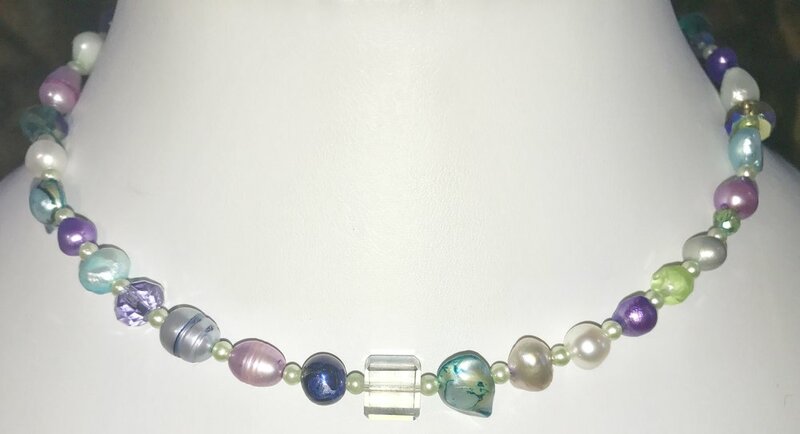 Simple strand of Glass Pearls from Czechoslavakia, blended with Crystal in Vibrant jewel tones. $125. Pewter Magnolia blossom on black leather cord. $140. 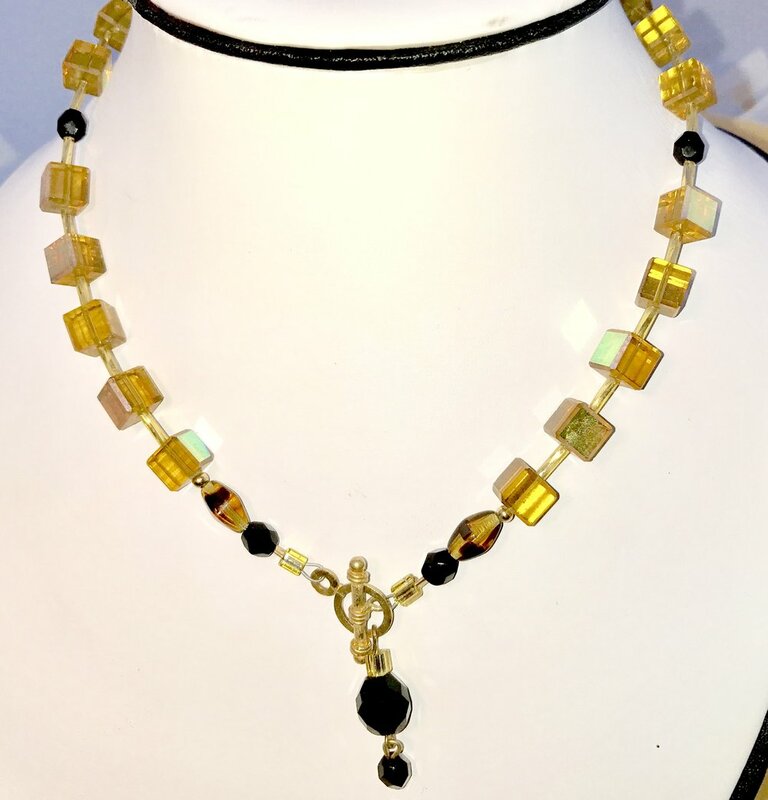 Modern, clear amber Czech Crystal, paired with gold glass tubes and black Jet. 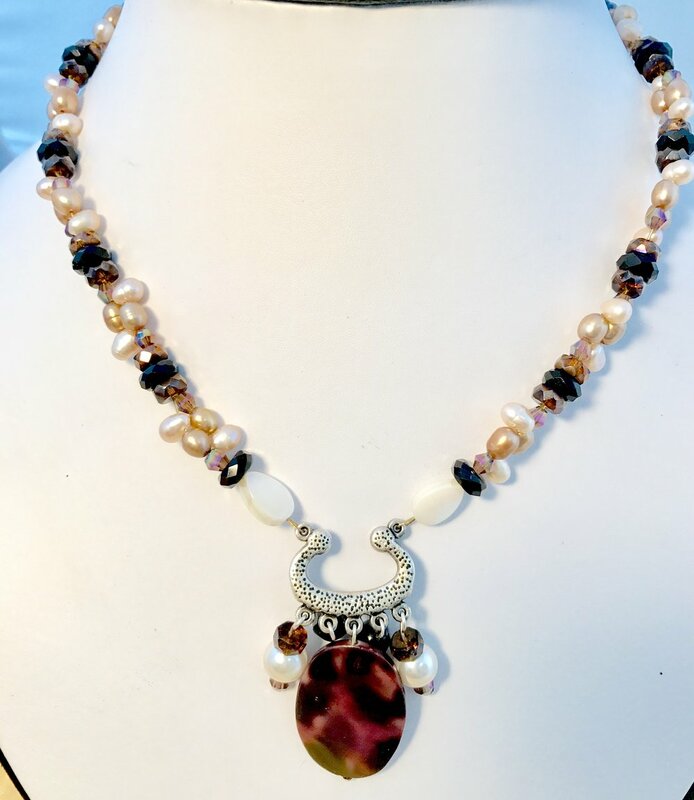 When worn with the clasp in front, it has a simple black jet pendant dangling from the clasp. When worn with clasp as the back, it is a simple statement of cubes with random sparkle created by a single mirrored side. $125. 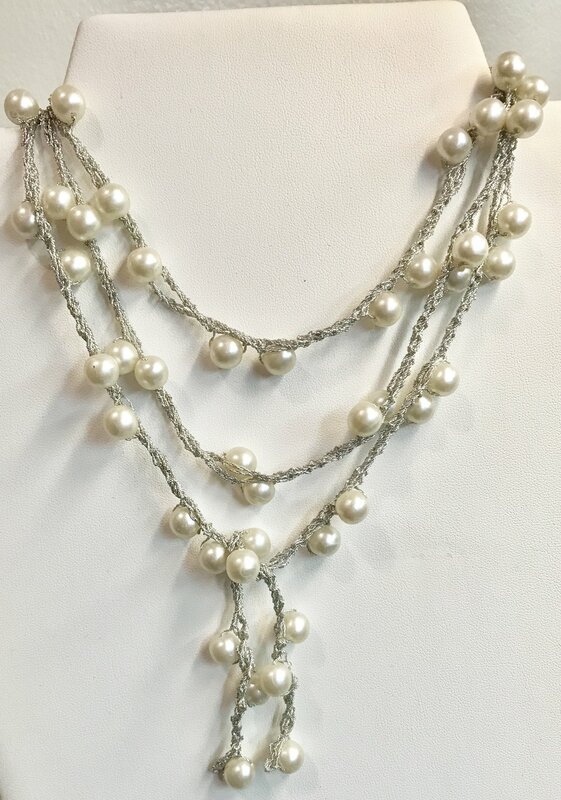 Long (45") lariat composed of crocheted silver metallic yarn and pearls. 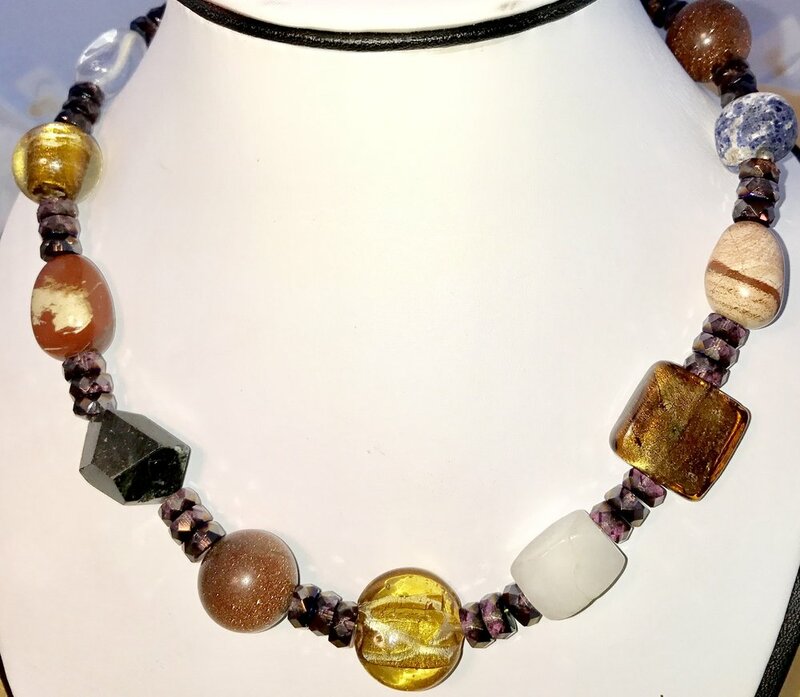 Wear it short by looping it around the neck several times, as shown, or wear it long and dramatic. The crocheted strand will easily loop and remain anywhere you want. Have some fun! $125. 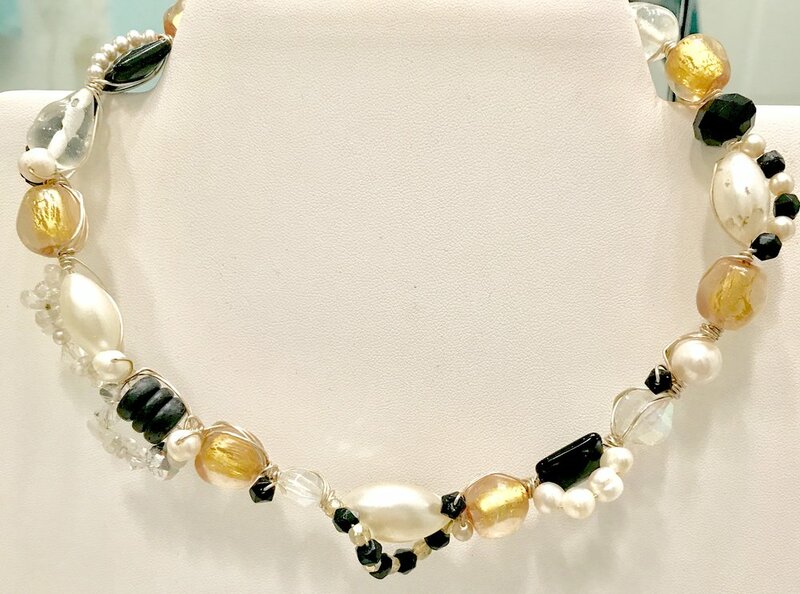 Slim wired Choker, composed of blacks and golds: Stones; Artglass; Crystal & Pearls. Elegant and timeless, this piece really belongs in the Signature Series, but is put in this group because of its slimline design. $245. 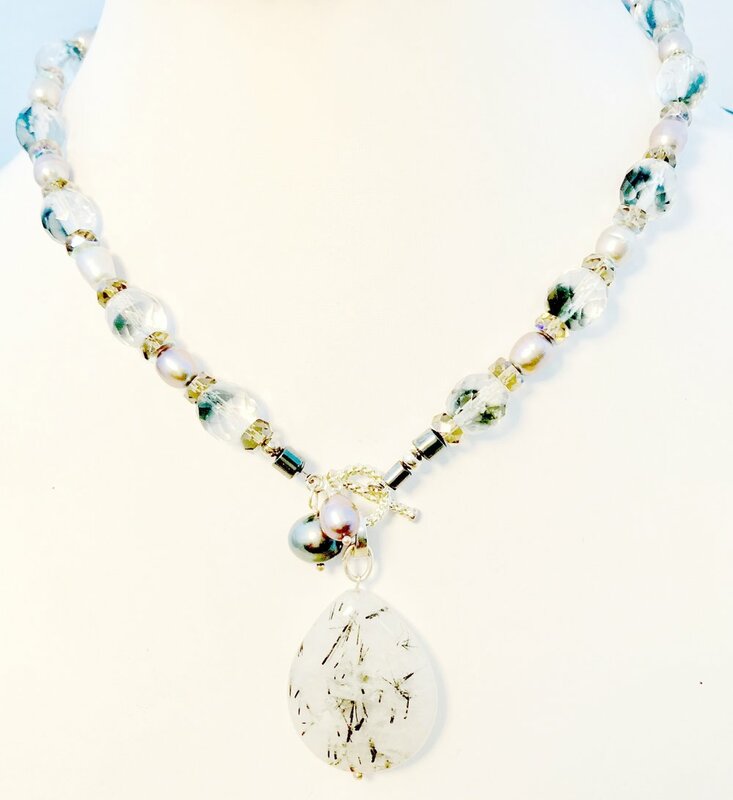 Artglass Central Flower of Silver-lined Black Glass, paired with crystal, pearls and dramatic rhinestone pendant. The "chain" is a vintage short choker of rhinestones set in black lucite, made in the 1960's. (Please note: this piece will only fit very small necks. 14" neck or smaller, so please measure.) 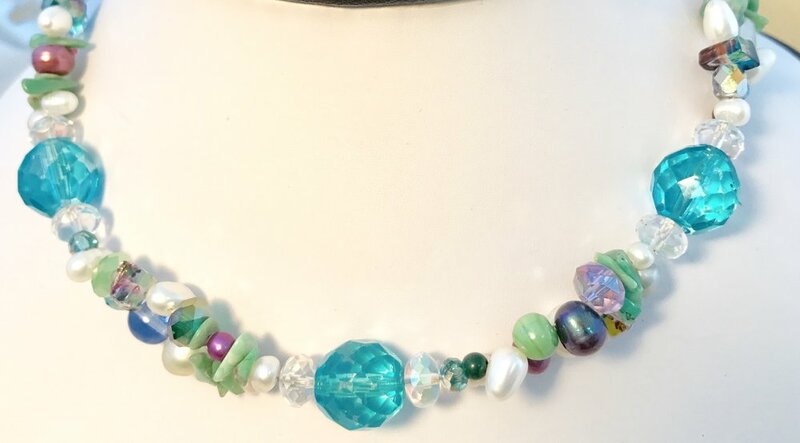 Fabulous on a narrow neckline!